Both PHP and ASP.NET are great programming language to work with, and choosing between the two is a tricky business for the newbies. Here, in this article, we will highlight the major differences between the two platforms for the budding developers to decide on the framework they should choose to begin their application development journey. Let’s start with a basic introduction of both the languages. Now, as a beginner, you have a basic overview of both the frameworks, so we can move ahead and start comparing both. This will enable you to better understand the applicability, usage and the right fit for the app development project you’re planning to work on. 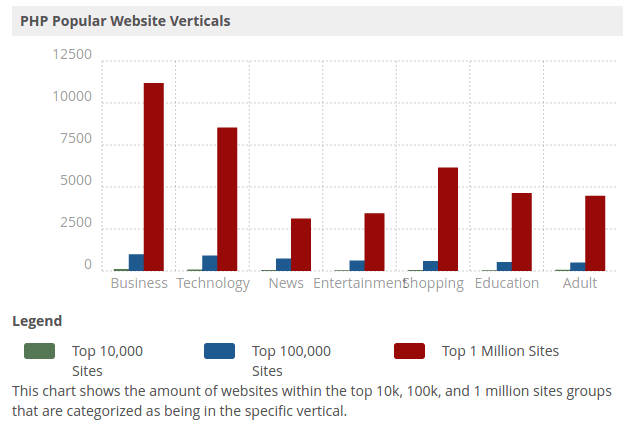 The statistics reveal the usage and market share to be in favor of PHP. PHP is an easier language for beginners to pick up, and most of the PHP based web apps use LAMP stack which has been optimized for performance improvement. ASP.NET, on the other hand, offers decent speed and is fast enough for desktop apps as compared to PHP. ASP.NET also allows parallel programming, letting chunks of code run all at the same time. Overall, both ASP.NET and PHP are capable of efficiently running the routine processes to offer the intended results. What is important here is how the code has been written which ultimately decides the app performance. Both ASP.NET and PHP are highly scalable and it ultimately depends on the programming skills and experience of the developer in addition to their ability to follow best practices, guidelines, and standards. In terms of security, ASP.NET comes with built-in security features while PHP offers tools to add security to the app, making ASP.NET a better choice. 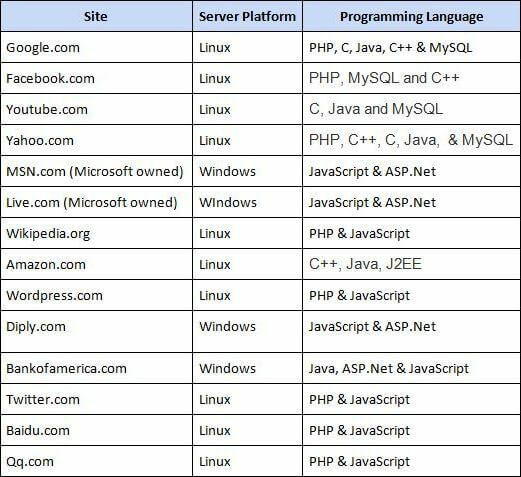 Here’s a table from C# Corner reflecting the server platforms and programming languages of some the most popular sites. 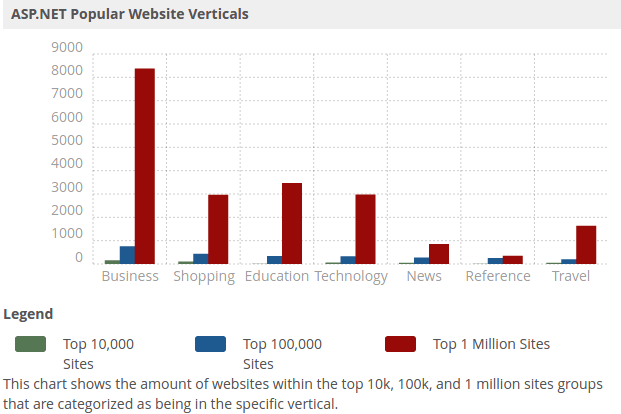 The data definitely points towards the high usage and popularity of PHP in comparison to ASP.NET. If you wish to hire a PHP developer or are looking for PHP development companies in India, we can help you. PHP, being an open source development framework definitely fares better in terms of cost. PHP, MySQL server, Apache server, Postgre SQL and Linux OS are all free along with their offered upgrades. Besides, there is no additional licensing cost for having another server as a backup. On the other hand, the fee charged by Microsoft owned ASP.NET is not very high but there is a considerable licensing cost for a Microsoft Windows Server, Microsoft SQL Server, and their future upgrades. Hence, PHP is a clear winner in terms of the cost. In terms of community support, PHP has a huge community as compared to ASP.NET as it’s free. Furthermore, LAMP, being an open source with friendly and dedicated developers across the world, receives continuous improvements, amendments, and updates for the platform. On the contrary, ASP.NET relies on a limited number of highly dedicated developers to support the community. So, going by the popular website verticals, if you’re planning for a shopping or an education-based website, you can go for the ASP.NET development services while if you’re planning for a business or technology website, you can look for PHP services in the market. Lastly, when it comes to large enterprise applications, PHP is less suitable than ASP.NET. Besides, PHP is more focused on client-facing UI and allows customization while ASP.NET is more security and functionality focused and less prone to customization. This concludes our ASP.NET vs PHP comparison in favor of PHP especially for the beginners; however, choosing one over the other completely depends on the needs and requirements of your project. If you aren’t sure, simple contact a reputed consulting company. To conclude, we can say that PHP is easy to learn and code, and has a large support community as compared to ASP.NET. It is an open source, cross-platform server-side language which is almost at par with ASP.NET in terms of scalability and performance. The areas in which it lags behind ASP.NET include parallel programming, built-in security features, and applicability for large-sized enterprise apps. Hence, both languages come with their pros and cons and beginners can make a choice based on the needs and requirements of the app they are developing. Manish Jain is the co-founder and Managing Director at Konstant Infosolutions. He is responsible for the overall operations of the company and has played a major role in bringing Konstant up from its humble beginnings and, with his immense energy and drive, transforming it into a globally trusted name in IT solutions.